More than 200 children from San Blas, Tepic, Compostela, Santiago and Tecuala came together during the 5th year of this family-oriented tournament, which teaches sport fishing along with environmental awareness to the newer generations. 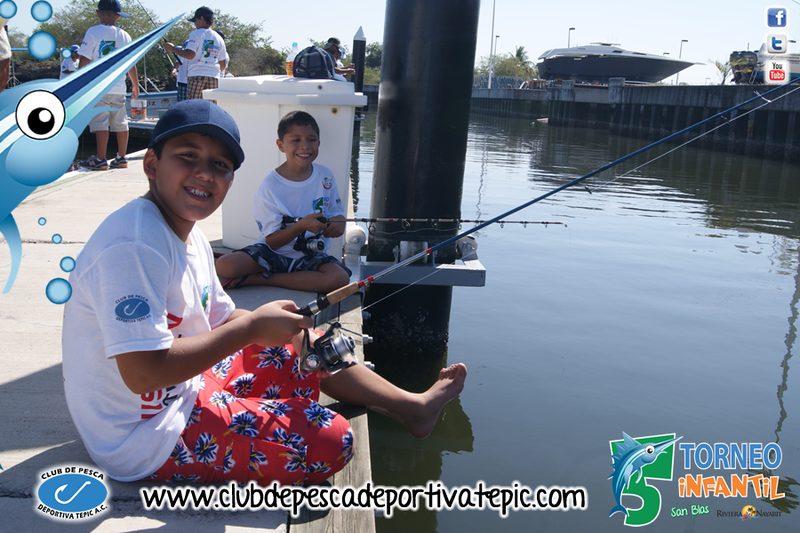 The Tepic Sport Fishing Club organized the 5th Children’s Fishing Tournament at the historic port of San Blas under the pretext of celebrating the children, but with an underlying cause directed towards creating positive social values in the younger generations. The event took place on May 4th at Fonatur’s Tourist Marina in San Blas, and it met everyone’s expectations when it welcomed more than 200 children as participants, all of whom were accompanied by their parents every step of the way. The kids competed under the guidance of the club members, learning the necessary techniques for catching a fish; the environmental awareness part came through when they were taught that all the fish needed to be returned to the sea. “We as club members are very proud to be able to instill the notion of responsible fishing in the younger generations, as well as show them how to value the environment and help with the conservation of our waters, all in a family-oriented ambiance,” said Carlos Menchaca, President of the Board for the Tepic Sport Fishing Club. The Government of the State of Nayarit and the Riviera Nayarit Convention and Visitors Bureau were co-sponsors of this event. There were many prizes for the children, including tablets, bicycles, fishing rods and balls. They also participated in games and enjoyed a clown show, among other entertainments. “We hold these kids’ events at the Tepic Sport Fishing Club using whatever is left over from the adult tournaments, as it is a non-profit event,” added Menchaca. New fishing tournaments for children will be announced soon for San Blas and La Cruz de Huanacaxtle, which will also be free. All those interested in participating can find more information on social media and the club page at: www.clubdepescadeportivatepic.com.